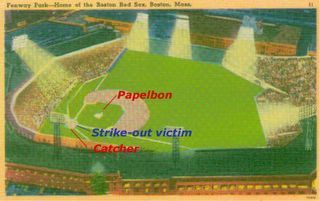 far be it for me to make suggestions for the esteemed red sox brain trust, but i don't think they have adequately prepared for the contingency of a jonathan papelbon-like player. sure, it might seem unnessasary to improve upon the 7-pitch, 3-strike-out, mathematically impossible saves he so ruthlessly imposes. but of course they haven't considered the advantages of resting the defense for the last inning of every win. i think this stratagy should be more than sufficient. this has been a good week for nasa, as far as dazzling graphics go (actually, i guess a lot of weeks are like that at nasa). this is a nifty little movie that glombs together a bunch of mission data collected as the huygens' probe of the cassini mission was decending to the surface of titan, saturn's most obstreperous moon. they also went through the touble of adding in sciencey beeps, whistles, and windchime noises (there might be a casio keyboard in there too), so that we know that its for real. captivating. thankfully, there does not seem to be any kind of underlying message besides the fact that 1950's public education films are, and always have been, the finest medium of communication. 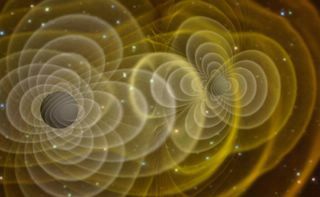 a nasa supercomputer simulation has produced some incredible images, such as the one above, as well as an animation of the gravity waves given off by the merger of two black holes. 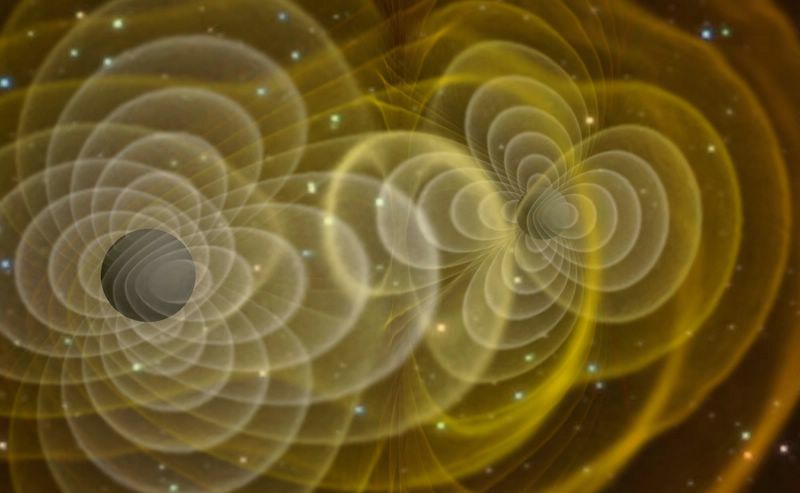 it is a common belief in relativity circles that the gravitational waves of black holes are yellow, hopefully ligo will be able to give us confirmation of this in the near future.